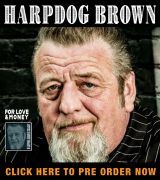 In the long and rich history of the blues, the path going south to north, from Mississippi to Chicago, is a well-traveled one. Plenty of unknowns have left the rural pastures of the Magnolia State with little to their name, only to end up as legends after their feet hit the concrete in the Windy City. 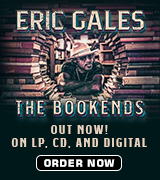 But as has been proven, that’s not the only path to stardom in the world of the blues. There’s the path that starts out in Chicago and winds up in Paris, France. While not the closest or the usual one, it is the path that the late, great Luther Allison traveled to stardom. It’s also the path that his youngest son, Bernard, continues to travel to this day. Kinda gives new meaning to the old “have guitar, will travel” adage, doesn’t it? 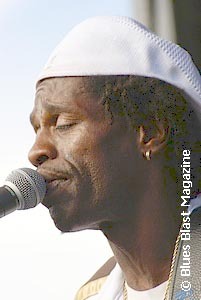 One of the biggest shames in the history of the blues is the way that Hall of Famer Luther Allison never really received the widespread love and adoration from fans in the United States that he richly deserved, until right before his death in 1997, just days before he would have turned 58 years old. 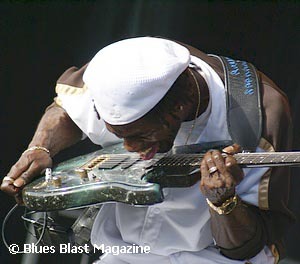 However, it didn’t take Luther Allison very long to become a certified star over in Europe – especially in Paris – where he was immediately embraced as the embodiment of true American blues. 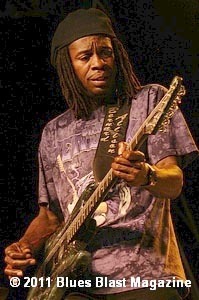 These days, not only as a tribute to his late father, but also as a way to say ‘thank you’ to the legion of fans overseas who made it possible for his dad to continue to play the blues, Bernard Allison, the youngest of Luther’s nine kids, sees to it himself that the European blues community is well taken care of. Not wanting to leave his stateside fans feeling left out, Bernard Allison is taking care of those who can’t travel to see him with his newest project – a live two-CD or single DVD set, titled Live at the Jazzhaus (Jazzhaus Records). Slated for a late September release, Live at the Jazzhaus is an audio and visual document of the way the Bernard Allison Group has been burning up stages all across Europe the past year. 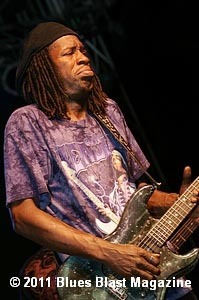 Bernard’s passion for playing the blues was absorbed from his legendary father, even though there were long stretches of time when Luther was apart from his family, with them in Peoria and him on the other side of the globe, working hard to provide for his loved ones the best way that he could. And once his own education was out of the way, Bernard relocated to Paris in 1989, with intentions to stay just long enough to play on a live album with his father, and then to record his own solo debut (The Next Generation). But as often-times happen, plans change and Bernard ended up staying in the City of Lights for 12 years, working as his dad’s bandleader for a majority of those years. Not only did hanging and jamming in Paris re-connect Bernard and Luther musically, more importantly, it also re-connected them as father and son, even through that dynamic was not as straight-forward as it sounds. And like father, like son – B.A. would find out just what LuLu had to go through in order to put food on the family table. 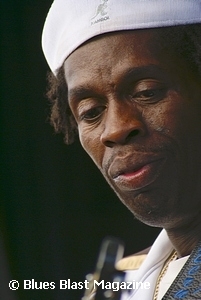 However, Bernard’s first exposure at what it was like to be a part of a working blues band came a few years before he made his trek across the Atlantic Ocean. Still in his teens at the time, Bernard played for the Queen of the Blues, Koko Taylor, in her Blues Machine for three years. Bernard’s next big task was finding his own identity. And as he found out, it took awhile for some fans to realize that Bernard Allison was his own man, with his own personality and style. With the way that blues music always seems to get the short-end of the stick when it comes to being a widely-popular form of entertainment, taking a back seat to things like the disposable pop stuff that’s crammed down people’s throats, it’s a wonder that there’s still a batch of up-and-comers that continue to be interested in playing the blues. And whether he calls Paris, France or Peoria, Illinois home, Bernard Allison’s agenda remains the same. Leave your ego, play the music, love the people. 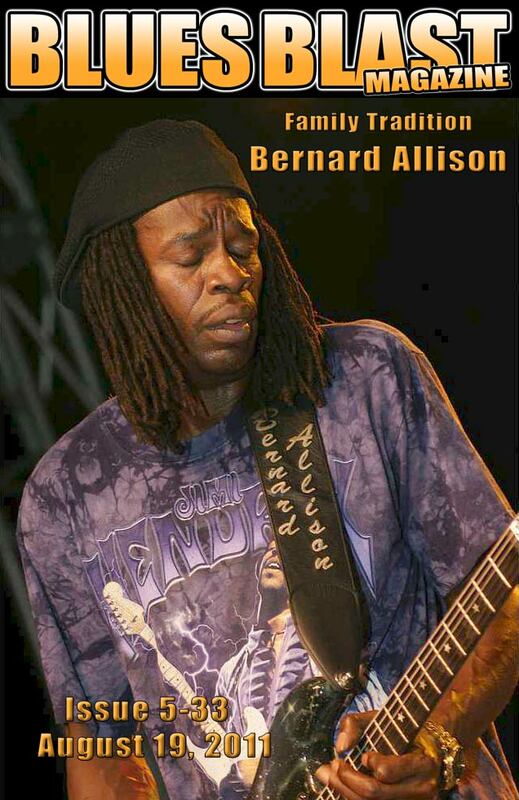 While releasing a studio album and then a live CD/DVD in the span of about 12 months indicates a busy year, the way things look, Bernard Allison’s plate shows no signs of emptying any time soon.